Well hello friends! I thought of doing a BOTD entry today but i left my SD Card at home after i took so many photos of my lipsticks and ended up forgetting to bring the card with me today. T_T So, i guess let me just write a few word about my running experience. Well, as per the title of this entry, i am not a runner. I always just walk walk walk and not run run run constantly. 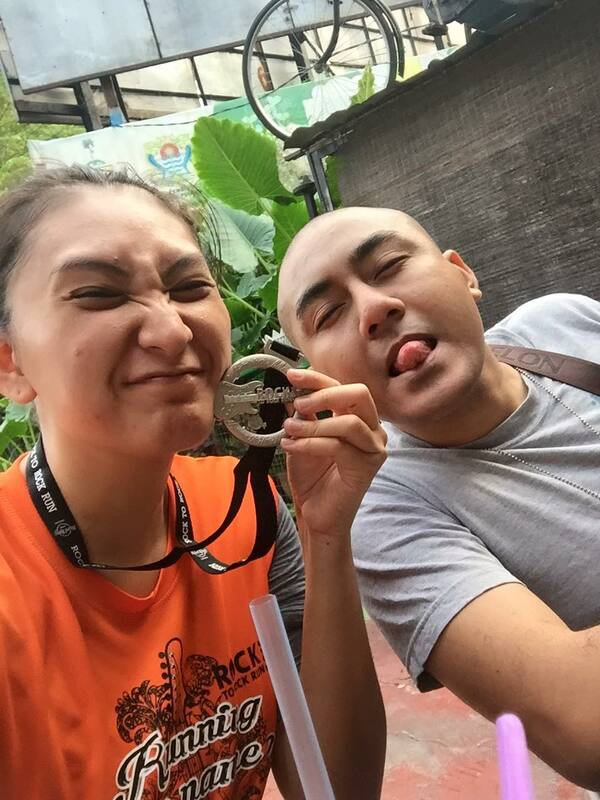 The Juicy Relay Series run was my first ever run in life. It was nearly 1 year ago and it was held in Taman Bukit Jalil. Just a fun run but it's in a relay form. 3 person per 1 team and we have to run at least 2 times (or 3 i could not recall). It says that 1 route would be around 3-4km so if we have to run 2 times, we are running nearly 6-8 km! I mean, for a first timer like me, to run 6-8 km was quite hard. I did not know what to expect and i just thought that running is just purely merely running without no experience at all on up hill down hill track. Well, i survived my first run with supposedly i can say flying colors. Well, since it is a Juicy Relay Series, I was enrolled again in the next series which is Tebu run. 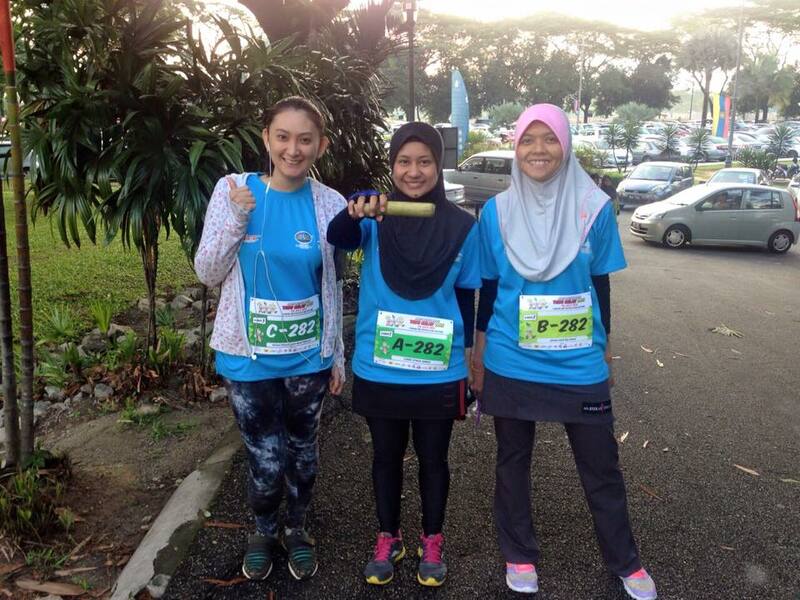 This time the run was held at Taman Metropolitan. It was very very far this time around. Well, i think to run at a park, with kids and other joggers involved makes my self esteem a bit low. Hehe. As usual, i am not a runner, I walk. I seriously walk all the way through. My first big run was the Rock to Rock Hard Rock run. This run was held professionally and most of the runners are foreigners. They have the time keeper standing at the finishing line, runners must wear their running shirt through out the run otherwise the time keeper will yell at you. 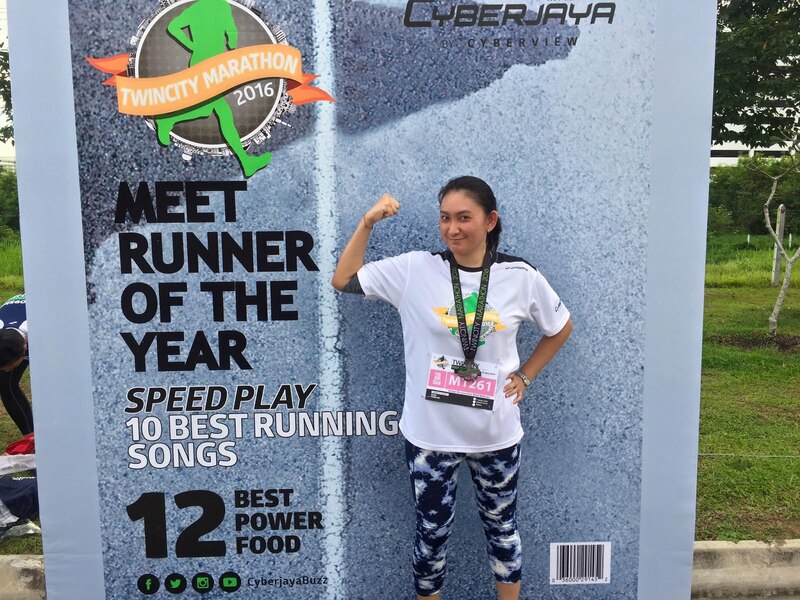 This year, my first Run would be the Twincity Marathon Cyberjaya. Well, not really a marathon as i only take 5 km route. Well, not ready to take more than that. Hehe. Just a good run to start with. 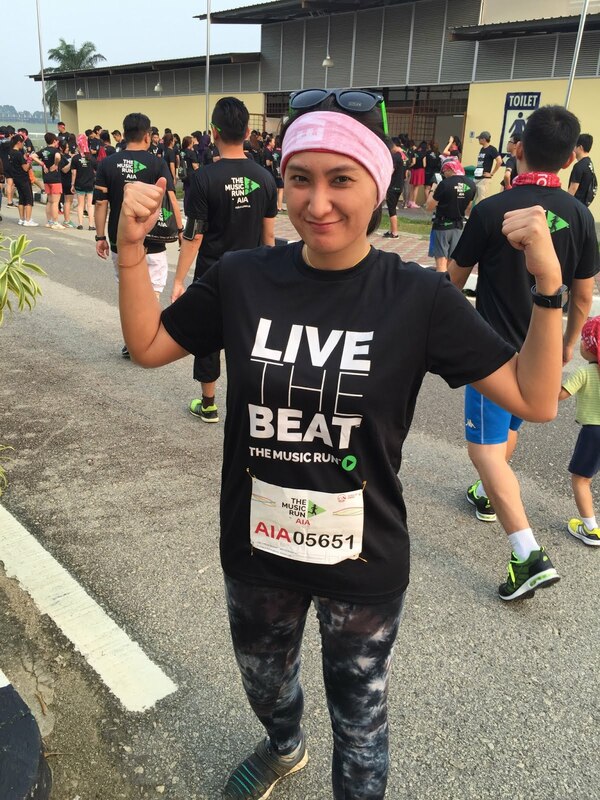 It is a free run for me as it was being sponsored by MDeC. Well, i do love joining these running events but i am not a runner. I dont run. I hate running. I just love to spend time with the nature on Saturday/Sunday morning. I'll only do running this time. Not cycling not swimming. I love collecting medals. I love collecting running shirts. That's what i love to do. But in order for me to get those, i have to participate in a running event. I would also want to stay healthy by walking. I dont do exercise at all so by participating in running events, i could consider myself doing something for my body instead of pumping foods into it all the time. Well, i hope that i could join more running events in the future. My longest run would be 7km at UPM-Makna run. I'll try to do 10km after this.